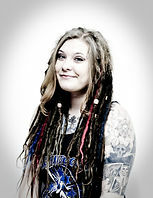 Learn more about the team and players of the Backwoods Bruisers. Welcome to our new feature, where we learn more about the teams and players the Flood City Sirens will be playing in upcoming games. We’re starting with the Backwoods Bruisers from Northern Allegheny. The Sirens have played the Bruisers twice before and lost by a devastating 17 points last year. The Bruisers are the Champions of the Keystone Derby Conference, a consortium of area derby teams fighting for the Champion title. The Northern Allegheny team founded the conference and have seen its growth to include several leagues. Although the J-Town Roller Girls are not currently part of the conference, the opportunity to play against each other is too good to miss!The Backwoods Bruisers have been bouting for 4 years, just one more year longer than the Flood City Sirens. Games in the past have featured several lead changes, hard-fought points, and heart-breaking penalties.Will The Backwoods Bruisers be able to win again? They seem to think so. We spoke with team captain #7URD, Holy Crap. The 4-year veteran is confident that a “secret weapon” will be used against the Flood City Sirens. In addition to the mythical secret weapon, both teams may be dealing with a third opponent during the game, Mother Nature. The Bruisers are proudly sponsored by Harley Davidson, and the August 27th bout will be featured at the local dealership, where an outdoor court may provide an advantage. Nature, however, may be bringing the heat while the players are bringing the excitement. Can either team really have an advantage in the predicted 89 degrees weather? 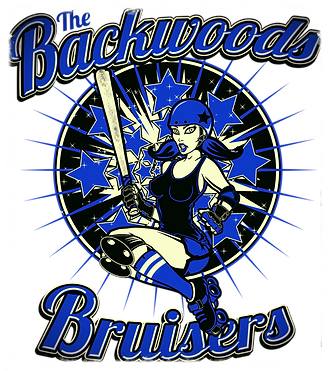 The Backwoods Bruisers have had a good run in 2016, and last year featured a highly successful season, clinching 8 wins out of 11 games. So far this year they have bouted against area teams including Westco and Plan B from State College and have a total of 3 wins for the year, and 1 loss- the Flood City Sirens also have 3 wins and 1 loss for the season. Despite set backs this year, including injuries and a flooded venue causing one game to be cancelled, Holy Crap is confident that their new strategies and plays will help overcome the unexpected challenges. Our afterparties are stuff legends are made of! We are also a very outgoing group of people who enjoys derby and each other! We have too many inside jokes to count! Live in the Northern Alleghenies and want to get in on the jokes? The Bruisers are recruiting! A clinic will be hosted on September 25th for potential skates to learn the basics. Find more info at the Northern Allegheny Roller Derby website. Will the Flood City Sirens finally beat the Backwoods Bruisers this week? Check out our Facebook for game updates, scores, and maybe a few selfies. Or join the action Saturday August 27th at the DuBois Harley Davidson, for free!